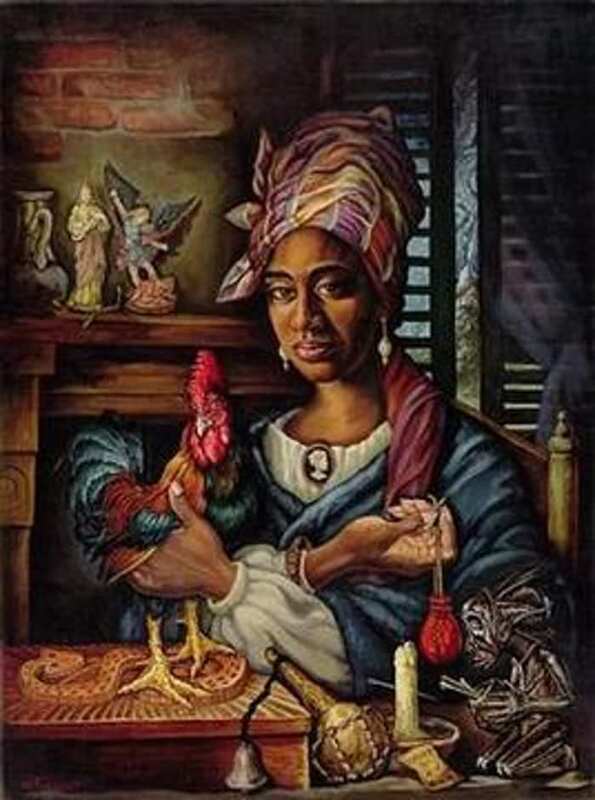 Marie Laveau (1794–1881) was a Louisiana Creole: descended from the colonial white settlers, black slaves and free people of color of southern Louisiana. For several decades this ‘Voodoo Queen’ held New Orleans spellbound. She staged ceremonies in which participants became possessed by loas (Voodoo spirits); she dispensed charms and potions, even saving several condemned men from the gallows; told fortunes and healed the sick.